Ernie Ball 2220 Power Slinky Electric Strings are a perfect match for those who like chunky rhythms for rock and roll or blues. Power Slinkys have long been favored by Slash, Metallica & Kenny Wayne Shepherd due to the thicker gauge combination providing a slightly more powerful tone. Gauges .011, .014, .018p, .028, .038, .048. 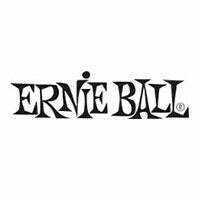 If you have any questions, give us a call or stop by to pick up your favorite set of Ernie Ball strings at Ken Stanton Music and save today.